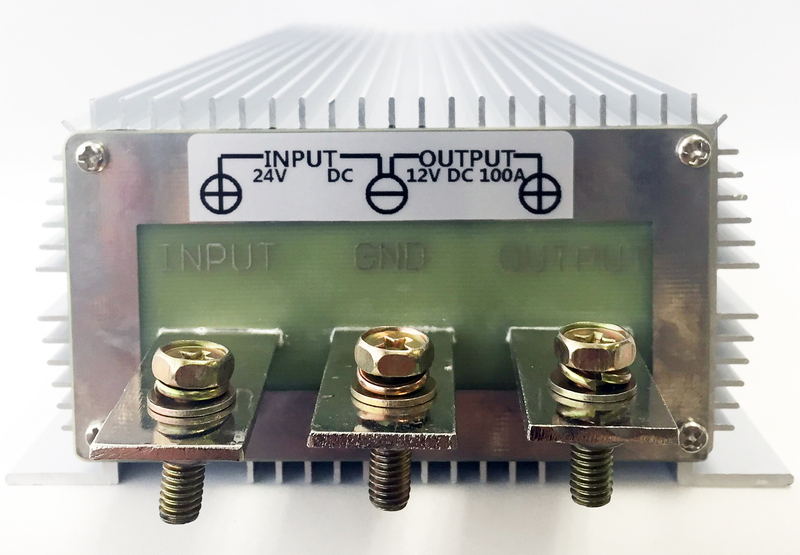 American Power Systems, Inc.’s high-efficiency DC-DC step down converters effectively decrease output voltage while simultaneously stepping up output current. Units accept a wide input range. Decreased output voltage means the end-user can operate equipment that requires a regulated 12-volt DC power source from a system operating at 24 volts DC, a common scenario for military and recreational vehicles and many marine applications. Using an APS step down converter is a better option than relying on a lower-voltage battery in a connected series to power special equipment. Our converters draw equally from the parent voltage to provide regulated output, keeping batteries balanced and providing for a proper charge cycle. This, in turn, extends battery life and decreases equipment costs over time. 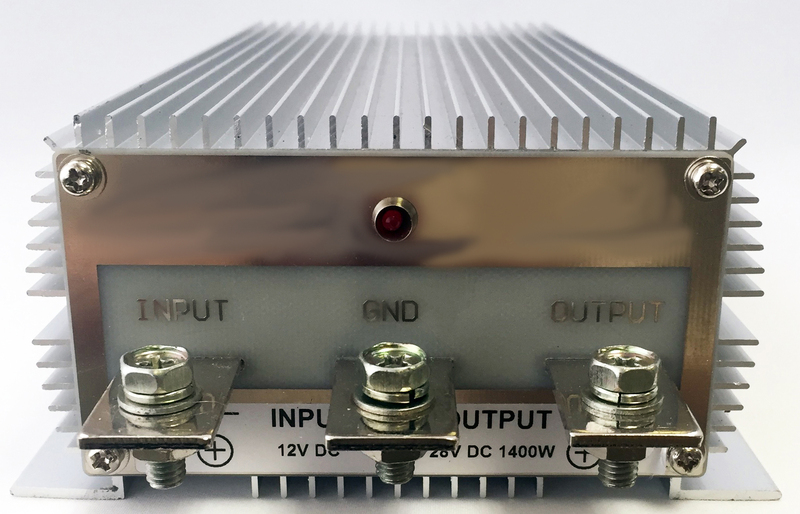 Clients use our down converters with transceivers, power amplifier kits, communication equipment racking in fixed installations, command po sts, tactical operations centers, and communication vehicles, as well as boat and mobile power applications. They also are used for counter radio-controlled improvised explosive device electronic warfare (CREW). Many of these units have been designed specifically for government and commercial applications. High efficiency, switch-mode. APS converters are switch-mode power supplies, which means that very little energy is dissipated as heat. Efficiency is commonly rated at 90 percent or greater. Compact, waterproof design. Uniquely low-profile units are fully sealed to withstand pressure washing and protected against similar water ingress. Rugged construction. Units are built to withstand shock and vibration, as well as a wide operational temperature range. They are especially well suited for high-temperature, humid, foggy and dusty environments — all with no derate.